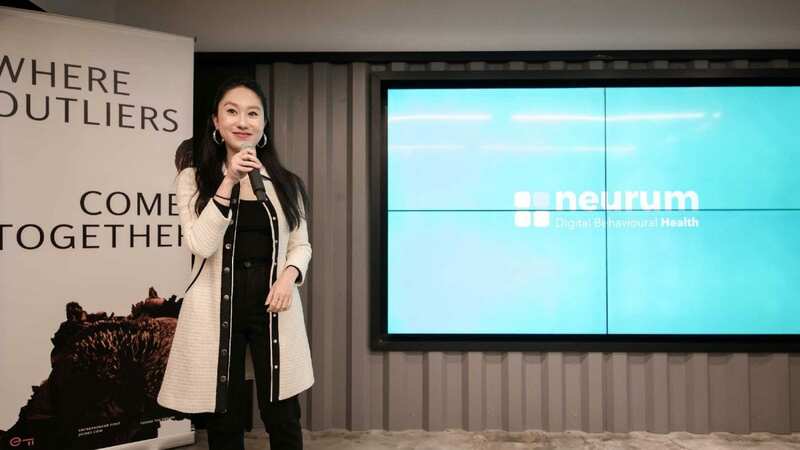 By Shona Yang | Singapore-based influencer marketing platform Narratrs made a quiet entrance into the Australian market this year. The platform’s algorithm aims to increase transparent reporting within Australia’s maturing influencer marketing industry. The penetration of #ad and #sponsored posts on social media platforms such as Instagram has amplified in recent years. With over 9 million monthly Australian users on the platform, influencer marketing is becoming an attractive option for awareness and acquisition activities amongst local businesses and brands. But in the scramble to engage with the right audience, it’s the middle players – marketplaces that connect content creators with ambitious brands – that are steering the industry. The expansion of Narratrs into the Australian market confirms the breadth of opportunity for influencer marketing platforms in the country. Narratrs’ Australia and New Zealand Business Lead Jonathan Park says the expansion is a timely and strategic move. “There are existing platforms in Australia that host influencers, and plenty of agencies are representing influencers, but this was the optimum time for us to launch in Australia,” he says. Narratrs is one of many influencer marketing platforms in Australia that is capitalizing on the rise of the ‘influencer’. Park recognizes that influencers are both content creators and also channels in themselves. He says their role is to translate brand stories into relevant and digestible content to their known audience. The platform works particularly with ‘micro-influencers’ – those with a following of less than 100,000 – but Park says the platform’s big data and automation tools are key points of difference that help to provide Australian businesses with greater transparency. Since the platform’s launch in Australia, Park says the platform has seen positive penetration rates amongst fast-moving consumer goods (FMCG) brands. “Almost 70% of Instagram’s users will trust the opinion of an influencer. Influencers infiltrate purchasing decisions not just among millennials but those people who are the key decision makers at home,” he says. Leveraging an influential personality for promotional gain is not a new tactic. For decades, brands with deep pockets have been piggy-backing off brand endorsements by the Kardashians and Beckhams of the world. In the new era of influencer marketing, brands are discovering influencers as an affordable and direct way to reach a loyal customer base. A recent Instagram report indicates there are more than 25 million business profiles on the platform – and over 80% of Instagram users currently follow at least one business online. While the platform has been most popular with fashion labels and e-commerce stores, Taryn Williams – Founder of talent marketplace The Right Fit – has noticed exponential growth in influencer marketing across multiple platforms and channels. “Brands are moving their ad spend online as a new way to engage with their target audience… it’s been harder for more traditional industries but the industry is starting to see some great return on investment on these campaigns,” she says. Williams explains that brands once applied influencer marketing on an ad-hoc basis at first, but many brands are beginning to adopt a cohesive approach. According to a 2017 social media report by Sensis, there is a direct correlation between brands that positively interact with their customers on social media and a customer’s trust in that brand. The report identified that almost 64% of Australians surveyed indicated that a brand’s number of followers and their delivery of engaging and relevant content were strong indicators of a brand’s trustworthiness. “If a brand doesn’t seem genuine, consumers will call that out. There is an immediacy of feedback. That’s another reason brands want to find long-term, meaningful and engaging content partners,” she says. Katt Gao is an influencer who started her career in Sydney and has noticed the change in the industry first-hand. “When I started posting photos on Instagram, terminology like ‘influencer’ didn’t exist. It wasn’t until a couple of years ago that Instagram developed into more of a marketplace and I started getting approached by companies [looking for] opportunities to collaborate,” says Gao. Having worked with multiple brands across Australia and Asia Pacific, she thinks the marketplace still has plenty of room for improvement. “Australia has a wide variety of companies and brands that are active on social media platforms like Instagram. However, the idea of paid collaborations may still be something that could be improved overall in the marketplace,” she says. Talent management and content management platforms such as Narratrs and The Right Fit have recognized that keeping both the influencer and the brand appeased will be a core product challenge. Park believes that there is a disconnect between a brand’s requirements and what they know about using influencers for marketing. He thinks brands tend to raise barriers and treat influencers as ‘in-house designers’, ignoring the fact that these people have followers because of something unique that they bring to the table. “It’s about mutually understanding each other’s roles and each other’s expectations, and you’re trying to make the best work and venture together,” he says. As for the new economy of influencers, Gao is swift to advocate caution. She says influencers should have alternative income streams, and exercise diligence when filtering requests for sponsored content. Often, the amount of time and energy that goes into the vision and execution of a new post isn’t compensated fairly by the brand. “At the end of the day, there needs to be both an intrinsic and extrinsic level of value for the artist,” Gao adds. Shona Yang is a freelance writer and blogger in Sydney, Australia. In addition to being Jumpstart’s Journalist In Residence (JIR) there, she writes for startups, enjoys traveling and is passionate about human rights in Southeast Asia. See what she’s up to at shonasays.com or email her at shona@jumpstartmag.com.